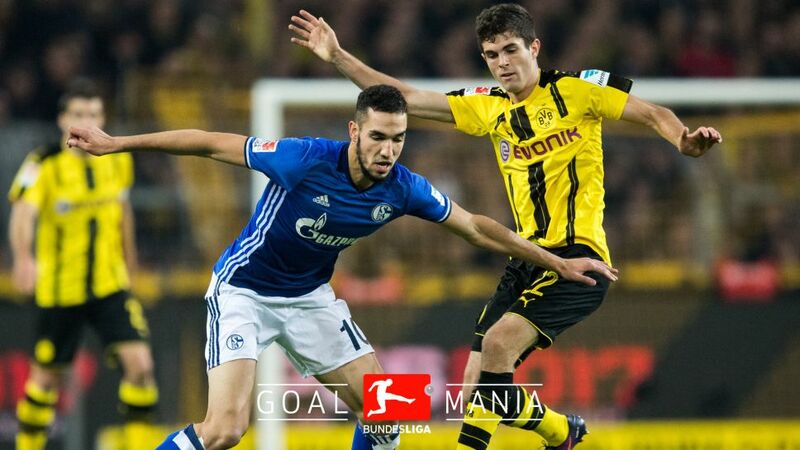 The Revierderby between Schalke and Borussia Dortmund is a fixture steeped in history, and has also thrown up more than a few captivating stories. Before the Matchday 26 fixture at the VELTINS-Arena produces yet more tales that will be told in years to come, bundesliga.com gets down and dirty with the stats that have peppered the past of the 'Mother of all Derbies'. 24 — For fans, it is unthinkable, but no fewer than 24 players have bridged the seemingly unbridgeable and swapped one side of the Revierderby divide for the other. Among them, Jens Lehmann — more of him below — Andreas Möller, Steffen Freund, Christoph Metzelder, Kevin-Prince Boateng, and Felipe Santana. 2-1 — OK, technically it's two numbers, but it is the most common scoreline between the pair. Dortmund have won by it eight times, Schalke seven. Is your Official Fantasy Bundesliga team in shape for Matchday 26? Head here to make changes! 10 — On only ten occasions have the pair failed to find the net, though their most recent meeting earlier this season ended in a goalless stalemate. 93 — It was three minutes into added time on 19 December, 1997, when Lehmann — then at Schalke — became the first Bundesliga goalkeeper to score a goal that did not come from a penalty, equalising in a dramatic 2-2 draw. 7 — Schalke fans, look away now! Dortmund racked up the highest-ever Revierderby romp with a 7-0 win over their arch-rivals on 26 February, 1966. What's that? It was a long time ago? You can bet both sets of fans remember even if they didn't see it! 6 — Schalke supporters can point to a more recent swingeing success. They swept to a 6-1 victory — their Revierderby record — on 10 December, 1985. 23 — BVB goalkeeper Roman Weidenfeller has featured in 23 derbies against Schalke, winning seven and tasting bitter defeat on nine occasions. It is the most of any of the current players in either squad, though one man who will be on the Dortmund bench has featured as many times in the fixture: sporting director Michael Zorc. 11 — Schalke's emblematic captain Benedikt Höwedes can — along with striker Klaas-Jan Huntelaar — boast to have faced up to Die Schwarzgelben the most of any current Royal Blue. The 2014 FIFA World Cup winner's record: four wins, four draws, three losses. 5 — Huntelaar has five derby goals, the most of any current player on either side. 10 — The ten goals Lothar Emmerich scored against Schalke between 1963 and 1968 helped cement his cult hero status among Dortmund fans. 4 — Shinji Kagawa and Pierre-Emerick Aubameyang have four derby goals each, the most in the current Dortmund squad. 8 — Kagawa has been a lucky charm for BVB. The Japan international has played eight derbies, losing just once (5W 2D).